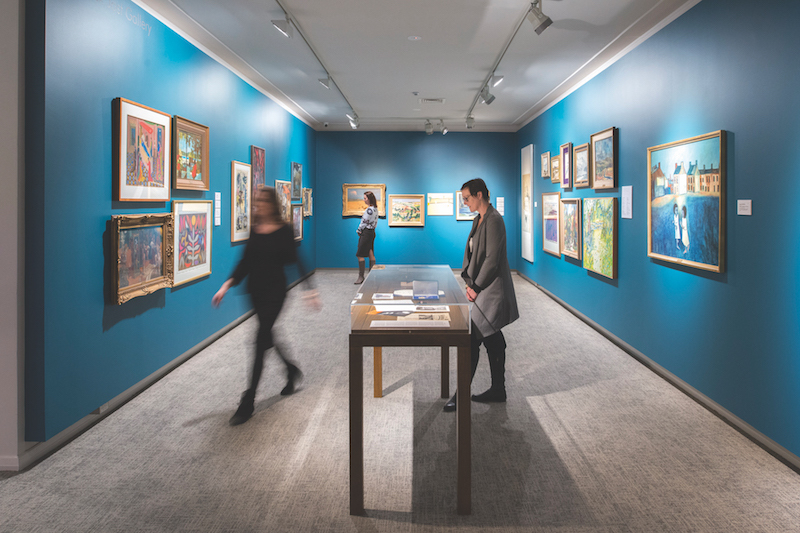 HE HORSHAM REGIONAL ART GALLERY(HRAG) – as part of the Horsham Town Hall $20-million redevelopment – reopened in early 2016. HRAG presents six touring exhibitions throughout the year, as well as a program of six specialist photographic exhibitions. Past significant exhibitions include Constructed Narratives, which ran from August to October 2017 and acknowledged the significance of HRAG’s growing collection of contemporary Indigenous photography. The exhibition focused on explorations of culturally diverse stories of self-determination and identity through artists such as Tracey Moffatt, Christian Thompson and Bindi Cole Chocka. The gallery’s permanent collection houses more than 2,000 pieces. Collection exhibitions are changed twice per year. One important focus of the collection is artworks that tell the story of the Wimmera, a history that has been recorded by Sidney Nolan, Marion Borgelt, Polixeni Papapetrou and Martin King. The main focus of the gallery’s collection is Australian photography, which was started with the acquisition of Max Dupain’s Meat Queue and Carol Jerrems’ Vale Street, both in 1976. Recent photographic acquisitions include works by James Tylor, Destiny Deacon and Zoë Croggon. HRAG owes its existence to the generosity of Australian pianist Mack Jost AM, whose gift of his collection in 1981 prompted the reuse of the historic Horsham Municipal Offices as an art gallery in 1983. Horsham continues to honour Jost’s legacy through acquisitions to his collection with contemporary Australian works by Jon Campbell, Julie Fragar and Alice Wormald.